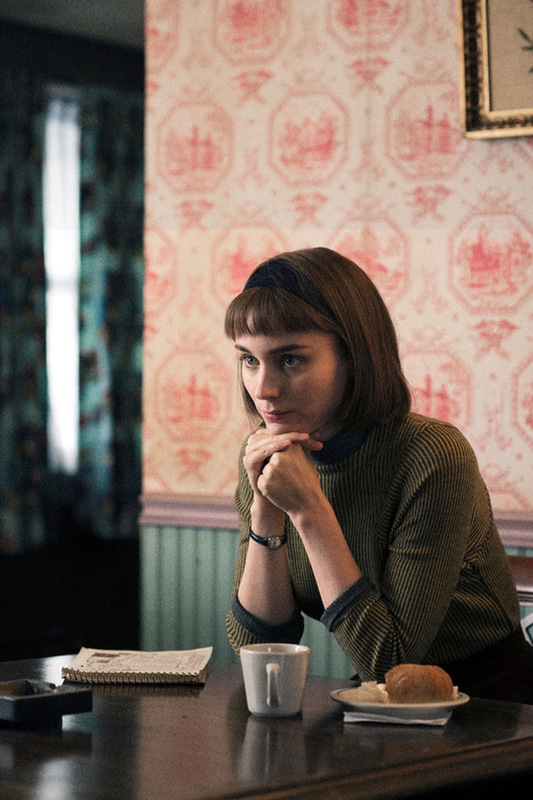 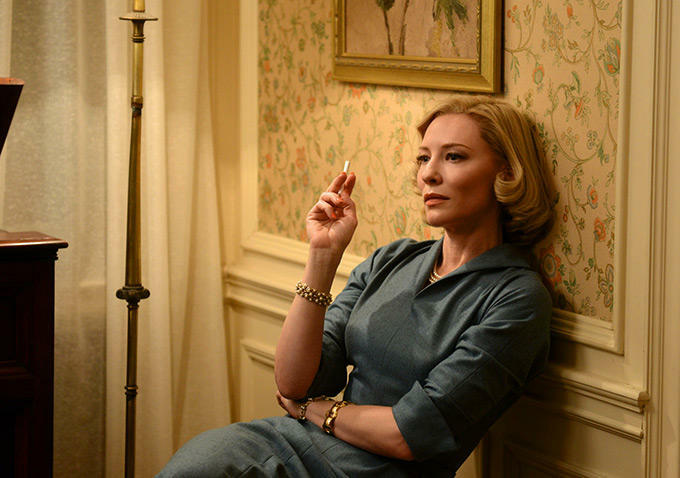 Carol got everyone in a flutter when the film, based on Patricia Highsmith’s The Price of Salt, made its debut at Cannes last spring. So what’s new now that the scheduled release date of the Todd Hayne’s directed love story between two women is just over a month away? 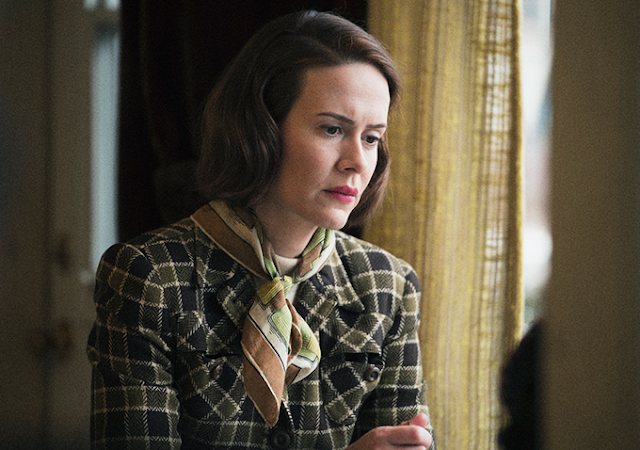 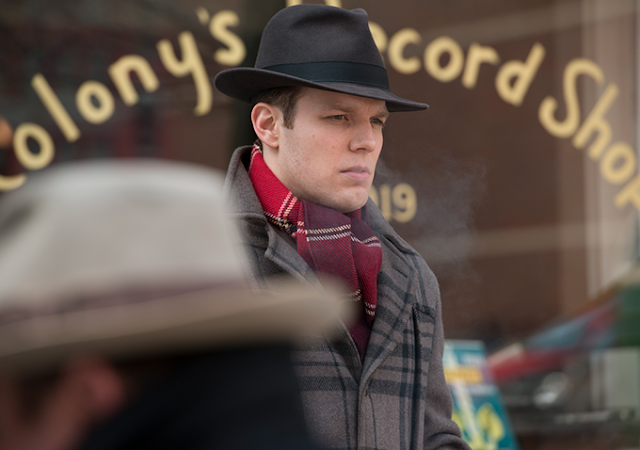 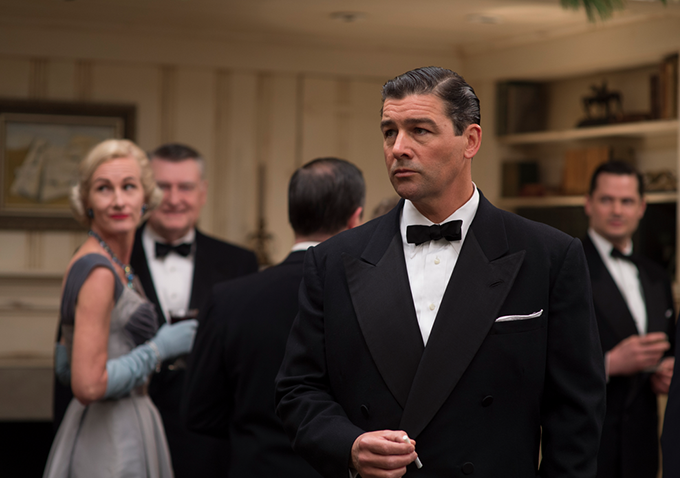 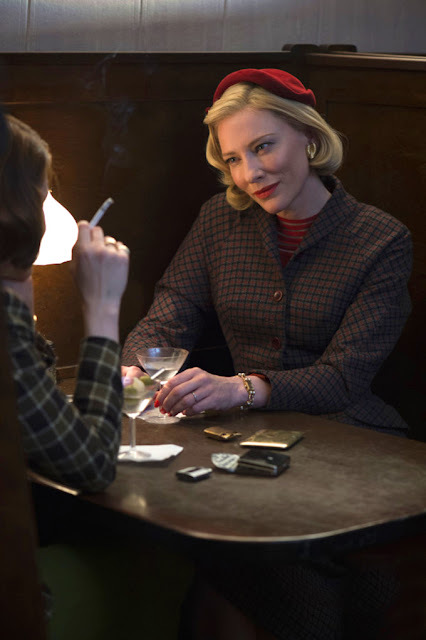 A batch of stunning new stills rocking that 1950’s New York vibe created by production designer Judy Becker (American Hustle, Silver Linings Playbook, We Need to Talk About Kevin) and costume designer Sandy Powell. 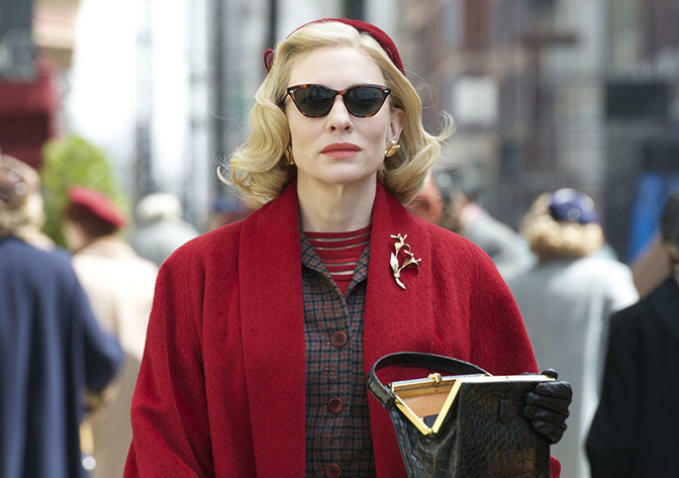 If Cate Blanchett is a shoe-in for best actress, and many are saying she is, so is costume designer Sandy Powell who pulled the vintage looks together. 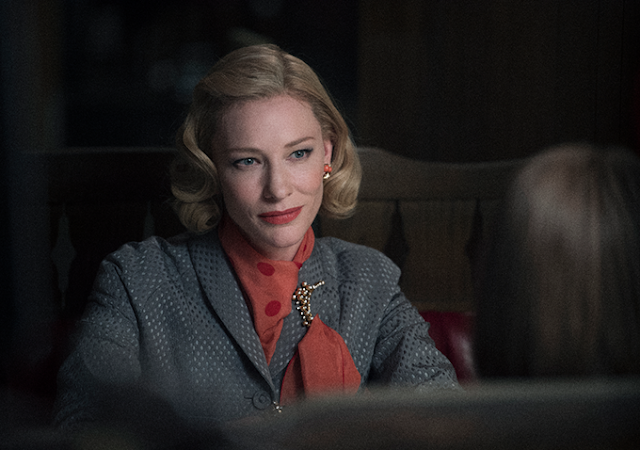 Powell and Blanchett make a great pair. 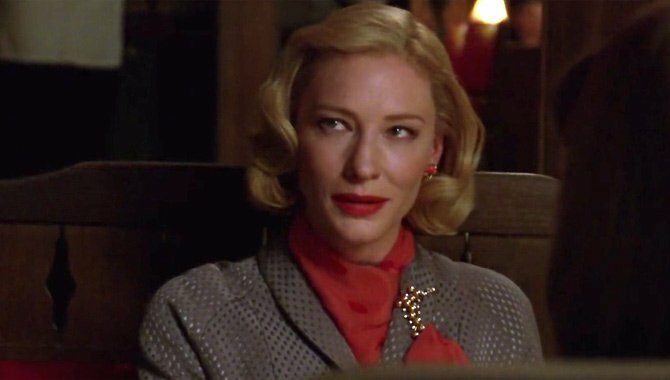 She’s dressed Cate in Disney’s Cinderella, and both women won the Oscar for their work in The Aviator. 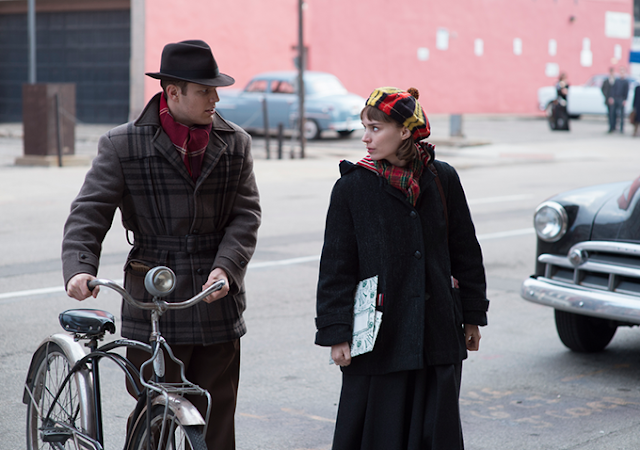 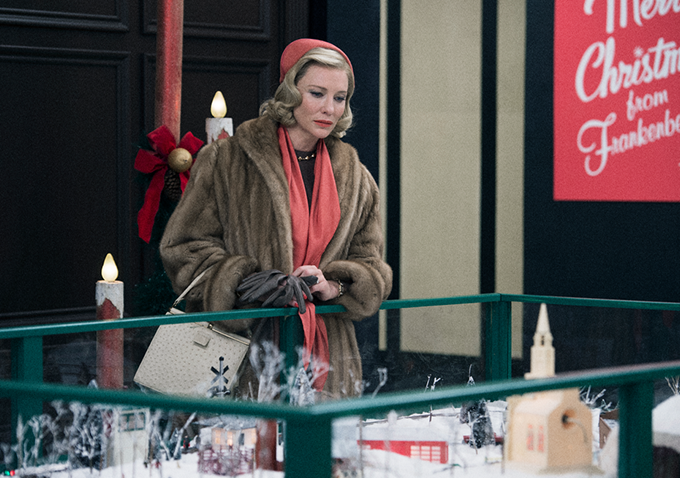 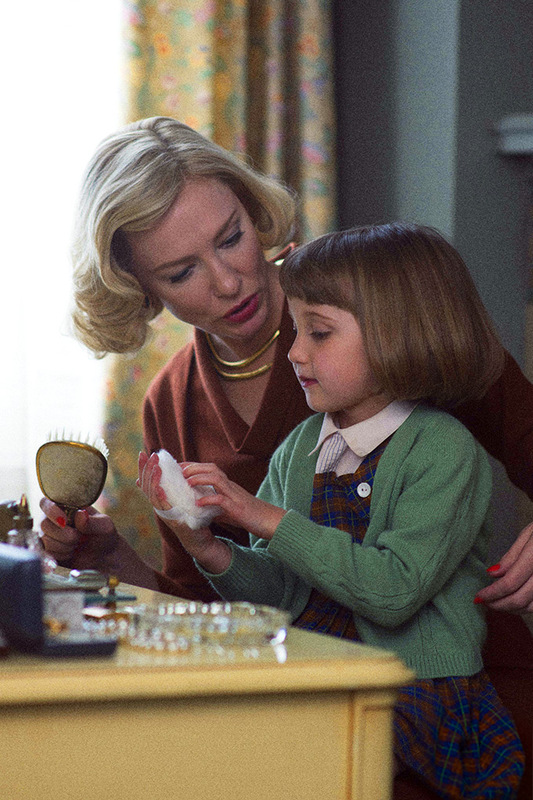 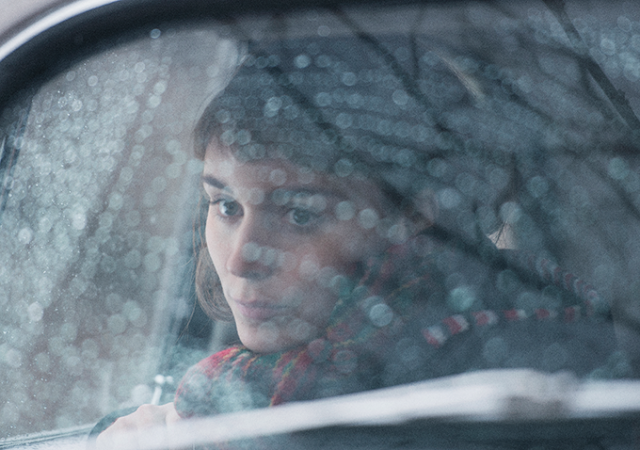 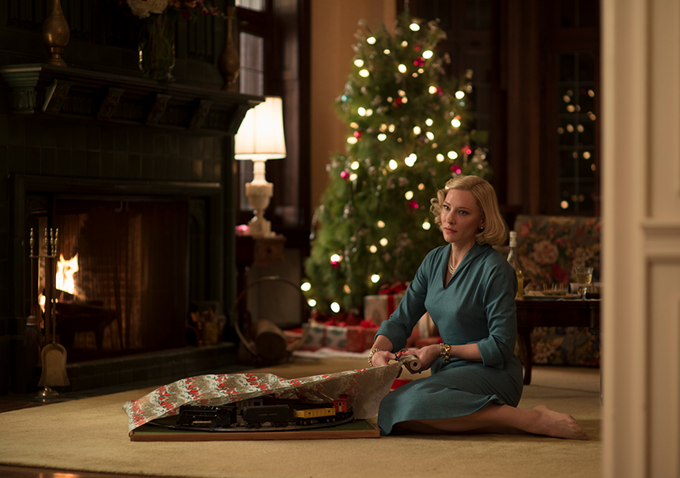 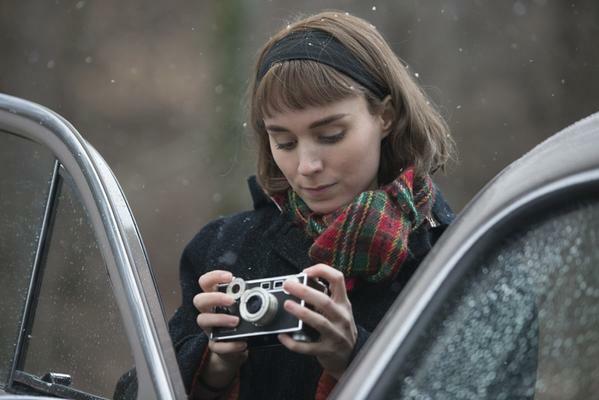 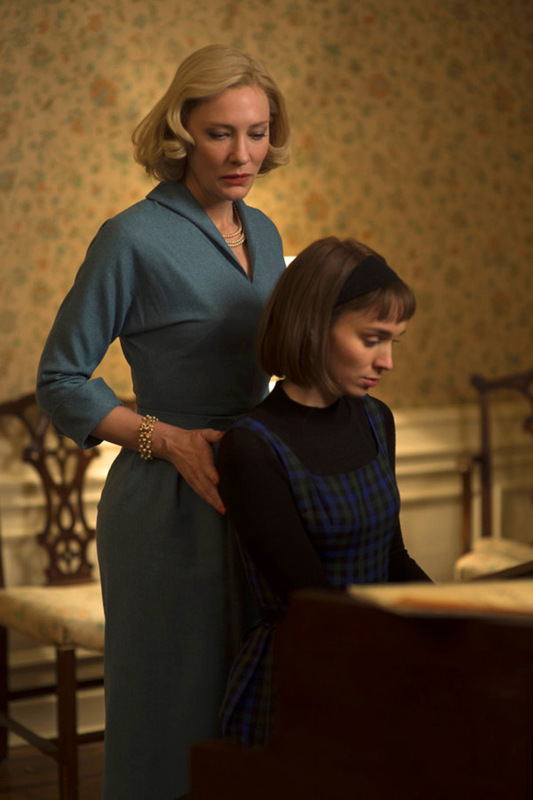 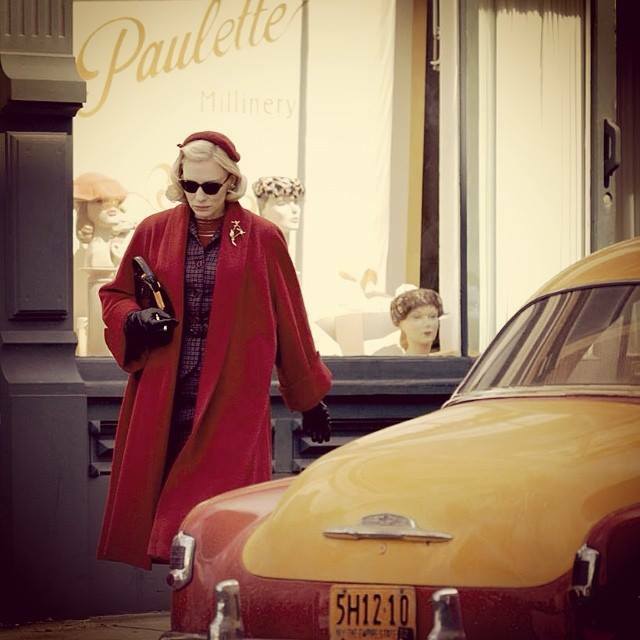 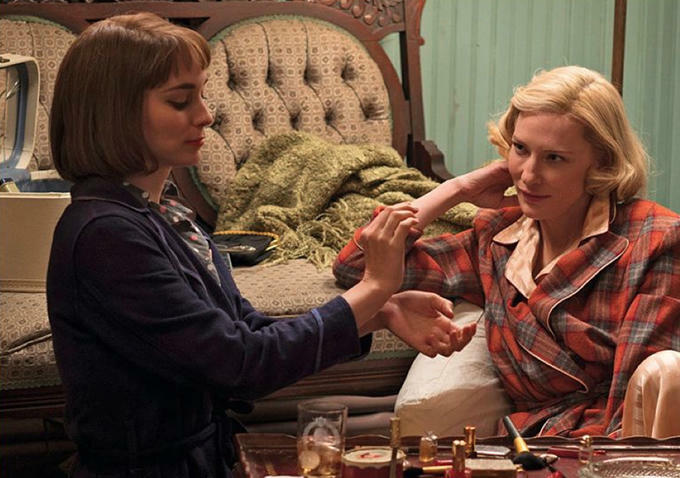 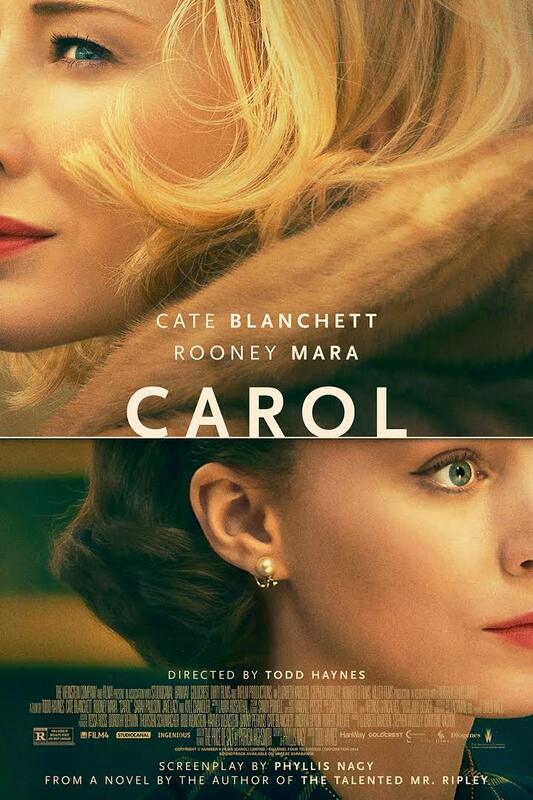 Carol comes out November 20th in the U.S. Will you be watching it?